According to report, Nigeria tops the list of private jet owners in Africa and among those who own these flying toys are four powerful women. 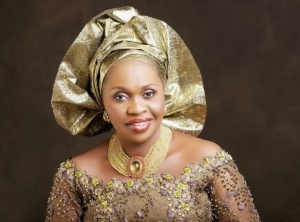 One of Nigeria’s first female billionaire is the founder of Famfa Oil, a Nigerian company that owns a substantial participating interest in OML 127, a lucrative oil block on the Agbami deep water oilfield in Nigeria. She is estimated to be worth at least $3.2 billion. She is said to own at least $100 million in real estate and a $46 million private jet. She has held three significant positions in the Nigerian federal government. She was appointed Transport Minister in July 2007. On 23 December 2008, she was named as Minister of Mines and Steel Development and in 2010, she was appointed Minister for Petroleum Resources. 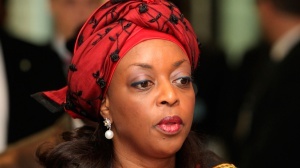 She is the first woman to hold the position of Minister of Petroleum Resources in Nigeria. In 2013, she was accused by the federal lawmakers of squandering N10 billion to charter and maintain private jet solely for her personal needs and those of her immediate family. She is the managing director of Practoil Limited, one of the largest importers and distributors of base oil in Nigeria, serving local lubricant blending plants. She was said to have recently acquired a Gulfstream G650 aircraft as a birthday gift to herself. She is regarded as the closest friend of Dame Patience Jonathan, the Nigerian First Lady and according to sources close to her, she has grown to become the strongest PDP stalwart in Kwara. She is one of the richest women in Africa. 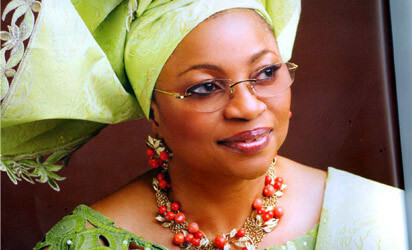 She is the wife of one of Nigeria’s richest men, General Theophilus Danjuma. According to report, she got hers as a gift from her billionaire husband. In 2003 she was elected Senator of the Federal Republic of Nigeria where she served on numerous committees, most notably as Chairman of the ECOWAS Parliament’s Women and Children’s Rights Committee and Senate Committee Chairman on Women Affairs and Youth Development.